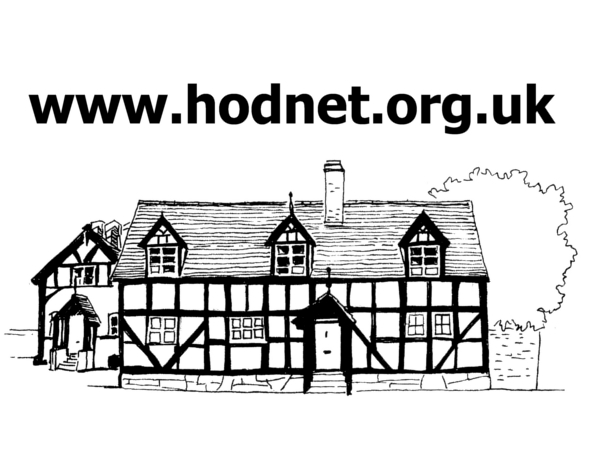 Below are two sets of photographs of Hodnet taken from the air. We wonder if you can spot several changes in the village over the time between them. The second set was taken in 2007, but we know nothing more about the occasion. You can find out about the differences we have spotted on this page. We also have other aerial photographs of the area taken before, during and after the construction of the A53 bypass. You can find them linked from this page. The bypass was built between April 2002 and September 2003. 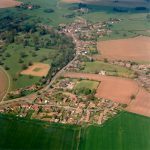 Here are two photographs of the village taken before construction started. 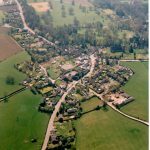 This view of Hodnet from the sky was sent to the web team by Dr Philip J Naylor, grandson of James Naylor who was the Dispensing Chemist in Hodnet between 1934 & 1937. It is of the main crossroads in the village viewed from above the road to Marchamley. 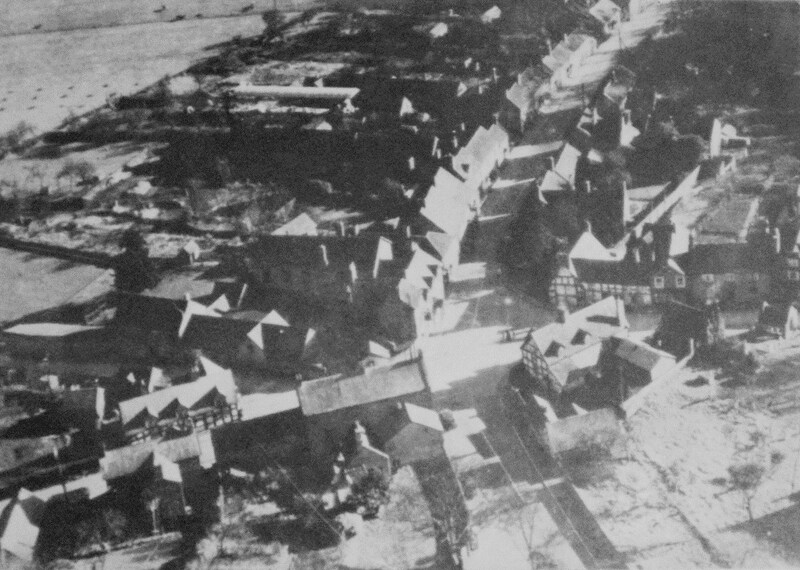 The Bear, the Hundred House and the Church gates are all identifiable. All the photographs he sent us from his late father’s collection can be found on this page.